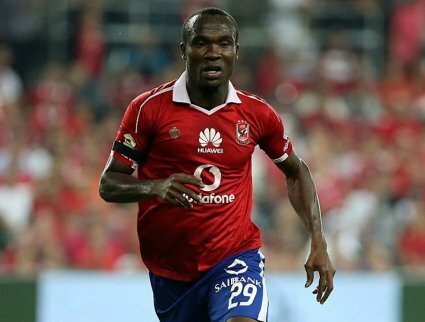 The Professional Footballers Association of Ghana(PFAG) has praised the recent exploits of Egypt-based Ghanaian striker John Antwi. On Sunday, the red hot striker bagged his 63rd goal to become the top foreign goalscorer in Egyptian football history. Antwi, a product of Ghana Premier League team Dreams FC, achieved the accolade in style, netting a hattrick in Misr Lel-Makkasa’s thrilling 4-3 win over ENPPI in the Egyptian Premier League. His impressive goal haul of 63 strikes overtakes the previous record of 61 held by fellow Ghanaian Ernest Papa Arko who played for five Egyptian clubs including Zamalek. The PFAG congratulates Antwi for his sterling performances which have forever etched his name into Egyptian football folklore. We trust that with further hard work and dedication, even greater exploits are sure to follow! !